One of my favorite Delaware photographers is Eric Zippe. 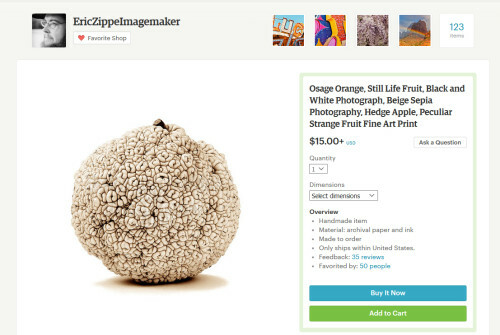 Here’s a screen shot of his Etsy shop, featuring my favorite print: Osage Orange. If you’re a local Delawarean, you can find Eric’s art at the Bellefonte Arts Gallery. I really need to get in there and buy this print!